Hi all!!! Happy Friday Video day and Happy Birthday to me:) I told you that right after the holidays birthday's begin in my family... and they start with mine:) I have had such an awesome birthday so far. I got to sleep in today with my little Bean (that is my nickname for my daughter), i had to run into work for a couple of hours but she got to come with me, then it has been full of playing, crafting and laughing. Now, my hubby's birthday is tomorrow so we are heading over to my parents house tonight for a special birthday dinner and some cake. YUMMY!!!!! I wanted to share with you a Masculine Birthday Gift Card holder that i have made for another upcoming birthday this month. 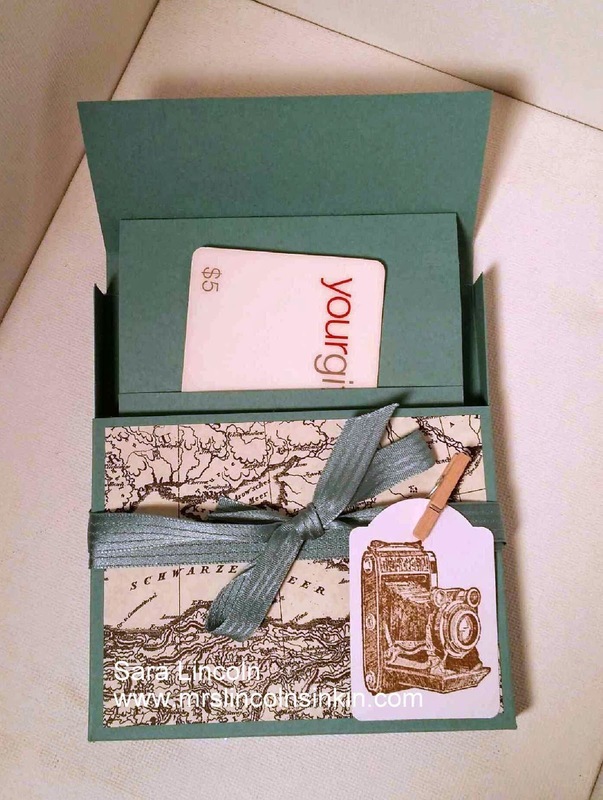 I did a video on it so that is why I am sharing this with you today as well as the card that I made my hubby! Real quick before i go i want to share with you the card i made for hubby!! 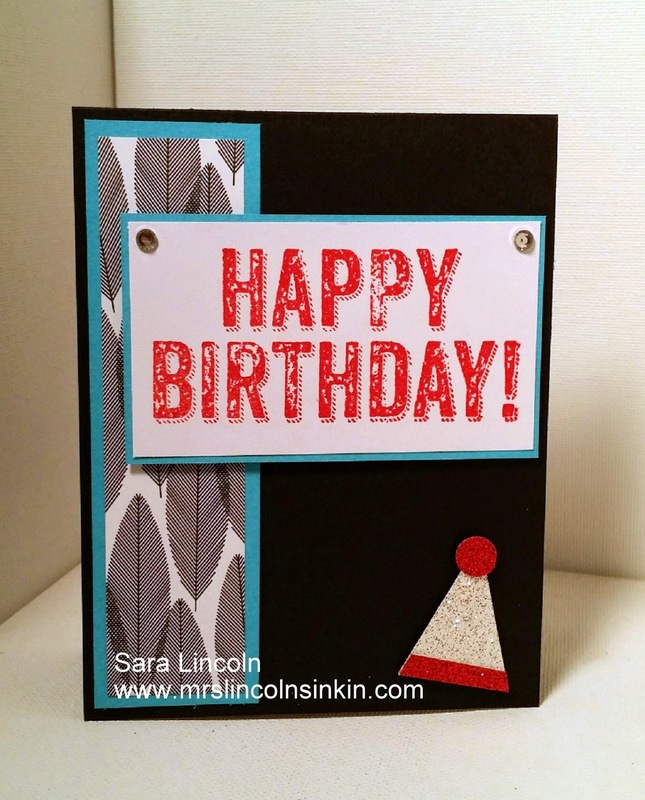 A simple card using the Birthday Surprise stamp set. 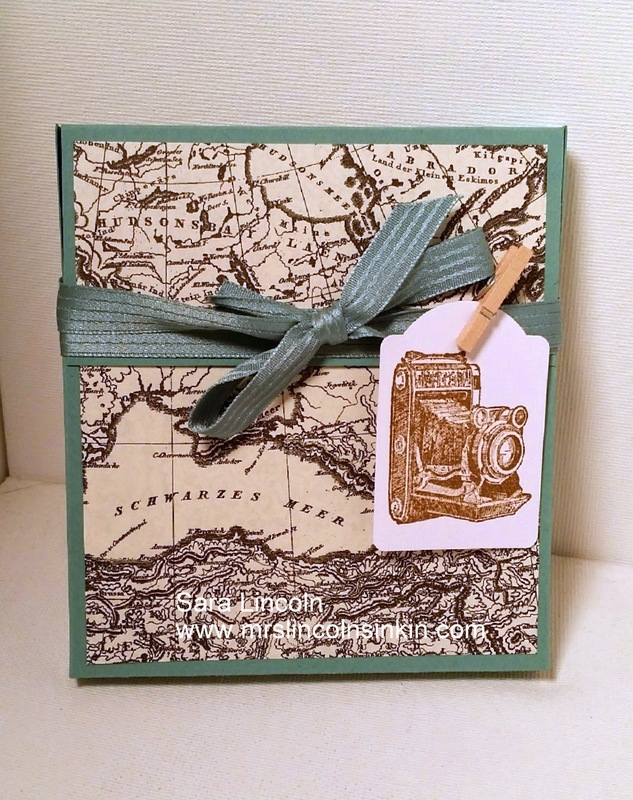 Today I am showcasing this stamp set along with the Typeset DSP that i used for the gift card holder.